Guard tour system plays a critical role in managing your security guard patrol operations in Singapore. Over the years, we have seen the widening roles of security guard officers to include facilities assessment and inspection related task in addition to their traditional security patrols functions. This increasing demands on the security services companies coupled with the recent trend of manpower shortage in the industry meant that security patrol operations need to be managed more efficiently with a limited team of security officers. What exactly is a guard tour system and why it is gaining such a wide acceptance among professionals in the security services industry? Read on to find out. Customizable patrol management software to meet your unique security needs. Fast turnaround time with software modules for Patrol Monitoring, Activity reporting, Tour route planning and Guard scheduling. We offer a broad range of personnel tracking solutions that is customizable to your specific security needs. Types of tracking available include Lone worker tracking, Man down alert monitoring, and Duress Alarm systems. The guard patrol daily activity report is the end product of the guard tour system and arguably justifies its existence in any security operations. Because of the important role that a guard tour software plays in any guard tour patrol system, we have developed our own propriety guard tour software that is designed to just work. Say no more to situations where patrols are being carried out only to realize later that the guard tour report cannot be generated due to software problems. No two client guard site or patrol requirement is the same. Using our propriety guard tour software that we developed in-house, we are able to ensure all your security requirements and needs are met to ensure a well-managed patrol operation. All our guard tour system is covered by a 12-month On-Site warranty, which provides technical servicing on location at your guard site. Often any technical issues will be quickly solved within the same day. This minimizes any disruptions to your security operations and prevents a situation where the patrols are being carried out without a functioning guard tour system. Reliable means of demonstrating service delivery and proof of presence to justify hours and staffing. Record and document occurrence of specific events that may have happened. Create various reports for daily incidents, activities and inspection carried out. Post reporting and Analysis of patrol data captured to get insights into workforce productivity trends. Tabulation of performance metrics for optimization of future patrol operations. Ensure the safety and security of your remote employees who carry out their work duties with no direct supervision. A lone worker systems can mitigate exposure to workplace environmental risk factors such as high voltage, high heights, dangerous chemicals etc. Switching to DrPatrol was the single best decision I have ever made. Our management of patrol operations has never been easier! Not only did DrPatrol delivered to meet our needs, they exceeded our expectations. I will not hesitate to recommend DrPatrol to anyone looking for a trusted and dependable security system provider. DrPatrol were professional in their services and were fast in their response when we needed them after the installation. Drpatrol offers you a hassle free and convenient way to implement a security guard tour patrol management system in your premises for greater transparency in your guard activities and most importantly protect the safety and security of your organization. * This is determined by the number of key critical areas in your facility where you want to validate and ensure that your security guards have indeed performed their patrol duty. It is recommended that this checkpoint planning is done on the premises floor plan to facilitate a well thought out placement to ensure a comprehensive coverage. That’s it, you are done and ready to get the system up and running! A Guard Tour System is a specialized operation management system used by client organizations and security guard services companies to automate the monitoring and tracking of their security guards’ activities during patrol operations. Key components of the guard tour system include the Guard tour reader, Location checkpoints, and a Patrol Management software which assist in the planning of patrol routes, assigning and scheduling of guards shifts. In many ways, the guard tour system functions as a security information gathering tool to collect a log of the patrol data to ensure compliance with the security operations requirement. How does a Guard Tour System work? Initial setup of the guard tour system first involves the strategic placement of a number of Checkpoints at key milestones along the patrol route path within the building premises to be guarded. 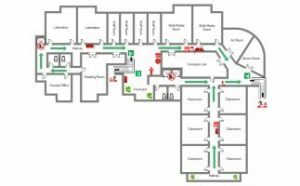 Typically these are locations of critical company assets, key installations such as server rooms, equipment or data storage centers and areas of building exposed to high public traffic, such as Entrance and Exit paths with high human traffic flow. These checkpoints which are pre-programmed with a unique ID are then scanned by the guards as they reached each of the predetermined location checkpoints as they carry out their patrol duties. 3. Patrol personnel has visited each checkpoint within the predefined time interval. Any deviation from the above during the patrol duties will be detected by the guard tour system. In the event of an occurrence of any security incident, the security officer can electronically register details of the incident within seconds by using the reader to read specific pre-assigned incident buttons carried along in the event wallet. During each read, data concerning the time, location, event type and observation is captured and stored in the reader. 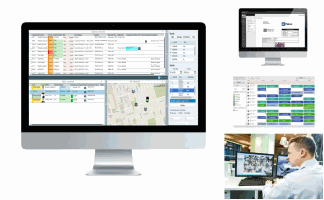 DrPatrol has a comprehensive range of patrol management solutions and hardware options. Depending on your specific needs and requirement, we will recommend you the best guard tour system that suits your needs. Below is an overview of our offerings. Which Industries Need Guard Tour System? Especially in recent times, where the security guard industry is facing manpower shortage challenges, the guard tour system can bring benefits of better manpower deployment and enhance workforce productivity. This helps to raise the overall security standards and enhance the protection of client’s assets With the tracking and monitoring capabilities, it helps to improve the management capability of multiple remote guard teams, each with different shifts and client site locations. Facilities of local Singapore universities such as NUS, SMU, and NTU are examples of open concept building that is freely accessible to the members of the general public without the need to be screen by the security personnel. This exposure to members of the public presents a security risk of potential threats from undesirable visitors. By implementing a guard tour system this greatly helps to enhance the safety of students by protecting them from any potential threats such as theft, trespassing or vandalism. Having a regular schedule of patrol by guards in buildings helps facilities management to manage all aspects of the building physical condition and detect any damages found. Common faults that need to be regularly monitored by guards includes faulty lights, monitoring of fire extinguisher pressure, broken windows and broken locks at critical access points in the buildings. On a more serious note, guard tour system also assists in the effective guarding of the building to protect against any possible attempts at theft, trespassing, vandalism, deliberate sabotage, arson and even terrorism. Warehouse and inventory storage facilities are often the targets of unauthorized intrusion and theft because of the high-value assets and merchandise the store. A guard tour system implementation helps to project a strong physical guard presence to deter and prevent any possible theft from happening in the first place. Having a guard tour system also helps to greatly improve the response time during an emergency, such as the discovery of a fire outbreak. By having a 24/7 physical monitoring of the warehouse, it can prevent the fire from escalating, thereby reducing or even preventing any possible unfortunate financial losses. Other notable types of Storage facilities include Data centers and Server facilities which are highly critical to the daily operations of companies. By having a guard patrol system in place, it greatly helps to prevent any risk of a possible loss of sensitive intellectual data due to an unauthorized entry or outbreak of fire. Especially for patients under critical care, who needs close monitoring 24/7 during day and night shift, a guard tour system helps to ensure accountability in the nurses and doctors in attending to the patients. This ensures that any medication is delivered in a timely manner. In a situation of a medical emergency, the regular monitoring rounds by the nurses helps to ensure that there is a speedy response. Before guard tour system was widely accepted by security guard management organizations, traditional methods of recording were used by using paper and pen. The patrolling officers would carry along a note book to record the specific unique ID of each location checkpoint and time of reaching the checkpoint. Any security incident that happens during the patrol were also recorded into the notebook. It was a tremendously tedious recording process, and to a large extent, the patrol personnel was spending a large portion of their active time filling up paper forms instead of doing the actual guarding and patrolling of the premises. With the implementation of the Guard tour system, it greatly improves the efficiency of the data gathering process by allowing the seamless transfer of the unique checkpoint ID using Touch memory technology or RFID technology. This same data collected is digitally transferred to a management software which auto generate the report without the need for any tedious transfer of written information from the paper notebooks to traditional paper-based reports. This helps to eliminate any administrative paperwork required and enhance the efficiency of your team of guard personnel. As organizations and companies are more processes driven and KPI driven, there needs a way to quantify the performance of the patrol personnel into data and numbers to allow for effective accountability and reporting communication. With data concerning the guard patrol tours systematically recorded, such as time of scanning of each checkpoints, missed checkpoints, sequence of checkpoints scanned, ID of guard performing the guard, organizations can benefit from the tabulation and analysis of the data to optimize the performance of guard patrol operations and improve on the manpower resource allocation. Data concerning the time of occurrence of security incidents and types of incidents can also provide useful insights for the security management to allocate a higher frequency of guard patrol at time shifts and locations that have a high historical occurrence of security incidents happening, such as vandalism, theft or break-in etc. By having all the data digitized, it also allows for fast retrieval to track the history of patrol activities, scheduled patrol shifts. This effectively creates a digital footprint of every patrol duty made by your officers, allowing you to validate that the guard tours are properly executed in a timely manner. Because of this, guard tour system also has useful investigative applications for legal, insurance or auditing purposes. An effective implementation of a guard tour system allows your security personnel to be the first responder to any emergency that may have occurred. This swift speed of response can be critical, for life and death examples such as man-down incident, fire out break, or discovery of a fire outbreak. This guard tour system enables your patrol personnel to be truly informed in a timely manner in an emergency security situation. Apart from Tracking guard patrol activities, What are the other Key Functions of a Guard Tour Patrol Management System? Apart from monitoring Guard tout patrol activities, What are the other Key Functions of a Guard Tour Patrol Management System? In addition to providing a means to track the path and pace walked by the patrol personnel, the guard tour system is also able to record and document specific details of any security incident occurrences that may have happened during the tour patrol duty. It also facilitates the creation of accurate reports, such as daily incident occurrence report, activities report and field inspection report. To provide an added level of protection to lone guards during patrol duty, we have guard tour models with a built-in panic button which can be used for sending SOS alert signal to the security command centre in the event that a security emergency or safety threat is encountered. With this, the security officer or lone worker can instantly communicate with the central security command centre to shorten response time. When your security guards report to work at the client location, attendance for all your guards at each location can easily be accounted for by using the patrol management system. In addition, the time clocking capabilities of the guard tour system are able to seamlessly integrate with existing payroll process to streamline your organization’s internal workflow. Ensure the safety and security of your remote employees who carry out their work duties with no direct supervision. The lone worker systems is a critical life safety solution to mitigate exposure to workplace environmental risk factors such as high voltage, high heights, dangerous chemicals etc. What are the other Applications of the Guard Tour System? Is this system strictly only for monitoring security guards? What are the other Applications of the Guard Tour Patrol System? Is this management system strictly only for monitoring security guards? 1. Protection of company asset and investments. 2. Tracking of remote field personnel that needs to move from place to place. 3. Management, monitoring, and logging of periodically scheduled inspection duty tasks that need to be done regularly to ensure equipment serviceability. (Eg. inspection of doors, to ensure it is lock and secure, inspection of fire extinguishers to ensure adequate pressure levels and inspection of AED stations placed at various locations around the building. How does the Guard Tour System help to boost the productivity of my guard operations? How does the Guard Tour Patrol System help to enhance the productivity of my guard patrol operations? Before guard tour system was widely accepted by security services organizations and companies, patrolling officers used a paper notebook and pen to record the patrol information such as the specific checkpoint ID, officer ID and time upon reaching each location checkpoint. Any occurrence of security incident encountered during the patrol was also recorded into the notebook. Due to manual nature of the recording process, the patrol personnel was spending a large portion of their active productive time on administrative paper work, filling up paper log books instead of doing the actual guard tour patrolling the premises. With a Touch memory or RFID-based Guard tour System, this inefficiency can be totally eliminated using the seamless one step data capturing process, which simply involves using the guard tour reader to read the checkpoint. The patrol data collected during the guard duty is digitally transferred to a management software which auto generate the report without the need for any tedious transfer of written information from the paper notebooks to traditional paper-based reports. Overall this automated and paperless reporting workflow greatly enhances the security guard personnel‘s productivity. In the event of a security incident, can the data captured be used for Legal purposes as a proof of presence? In the event of an unfortunate occurrence of a Security/Emergency incident, can the guard tour data captured be used for Legal purposes as a proof of presence? Yes. The guard tour data collected can be used as a proof of the physical presence of the security officer at a certain designated location at a specific time period. In some case, this data has proven useful in investigative applications involving legal liabilities, insurance or auditing purposes. 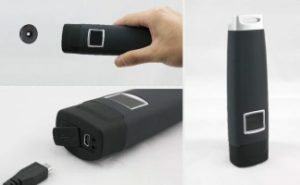 Due to the tamper proof nature of the guard patrol wand, there is an element of reliability and objectiveness in the patrol data that is collected and stored during the actual checkpoint scanning. The digitized patrol data also allows for fast retrieval and tracking of historical patrol activities and schedule information, effectively creating a digital footprint to validate that every patrol duty made by your officers are properly executed in a timely manner. How does the Metric data collected by the Guard Tour System help to optimize my Patrol operations management? How does the Performance Metric data collected by the Guard Tour Patrol System help to optimize the management of my Guard Patrol operations? As organizations and companies become leaner and performance driven, the security guard patrol system benefits organizations by providing a source of reliable and quantifiable KPI data of each patrol personnel’s performance. Post analysis of patrol data collected enables you to tabulate your staff performance metrics and chart out productivity trends. This gives you actionable insights to optimize manpower resource allocation and deployment in future patrol operations. There is total transparency and accountability in reporting communication as the guard tours data are systematically recorded (ie. Date and time scanned at each checkpoint, missed checkpoints, sequence of checkpoints scanned, ID of guard performing the guard) Historical data concerning security incidents, such as occurrence time, nature of event, and frequency of occurrence also provide useful insights for the security management to assess risk and intelligently allocate an appropriate number of guard patrol at certain ‘high risk’ time shifts and locations. 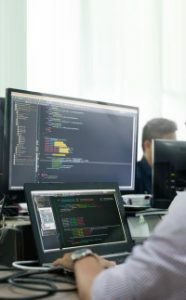 Common examples of security incidents that can be greatly deterred through the use of predictive analytics include vandalism, theft, sabotage or break-in. How does a Guard Tour System gives a higher level of Security & Protection to my Organization? How does a Guard Tour Patrol System give a higher level of Security & Protection to my Company Organization and Business Operations? An effective implementation of a guard tour system allows your security personnel to be the first responder to immediately notify the security command centre of any emergency security situation. 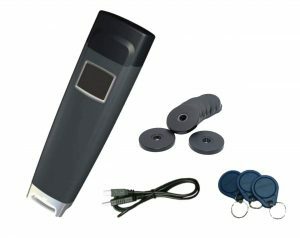 Utilizing interactive real time handheld guard tour wands, the security personnel can communicate security incidents to security command that requires an immediate response. This increase in speed of response can literally mean a difference of life and death in cases such as man-down incident, the discovery of a fire outbreak.